the invisible center of the six-point star of Jewish and Eastern traditions. 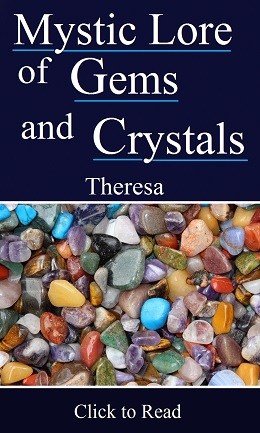 Signed by “One Who Is Pledged”, the text is especially important for those students of esoteric philosophy who wish to understand the process of aspiration to discipleship and don’t want to follow the esoteric frauds created after 1895 by Mrs. Annie Besant. Of course Mrs. Besant was not alone in breaking her vows of loyalty to the search for truth. Many other pseudo-theosophical leaders adopted the path of esoteric phantasy. If seen from a non-bureaucratic point of view, the original 1888 pledge of the esoteric school created by Helena Blavatsky is as valid as ever in the 21st century, and will remain so in the future. It was never valid in a dead-letter perspective. In order to understand the point of view from which the following commentaries are made, the reader should remember one fact: according to the teachings of Helena Blavatsky and the Mahatmas of the Himalayas, it is only by individual merit and self-preparation - not through joining any self-styled “esoteric school” - that an individual may obtain the qualifications necessary to lay discipleship. The only temple valid for theosophists who have discernment is located in one’s own heart and mind. It is in such a temple that pledges can be made. However, no earnest student is ever isolated from a higher and wider context. This is clearly stated by the Masters in “The Mahatma Letters”. We will now examine the original pledge with its seven clauses, the seventh of which remained unnumbered. In the beginning one must examine what theosophy is, and is not. It does not consist merely of its written teachings, although these teachings point to it and - if properly studied - are an accurate roadmap to it. Theosophy is the living universal wisdom present under various forms in every nation and cultural tradition. It is also the philosophy of altruism and of love for eternal boundless Life. One’s ability to understand and live Theosophy depends on one’s effectiveness in renouncing lower goals, and seeing how one’s essential unity with the Universe unfolds. The first esoteric pledge is therefore to endeavour to LIVE the teaching in one’s daily existence. The effort must not be short term. Nothing spectacular should occur if a student makes a serious decision regarding his spiritual life. Tests will come in all sizes, in due time, just as help from one’s own higher self, according to one’s merit and to the karmic conditions under which one lives. The theosophical movement is no corporation and no bureaucracy. William Q. Judge defined it as the community of those beings who aim at a better and brotherly future for our mankind. It includes, but is not limited to, the earnest and sincere students of modern theosophy. An axiom says that there are real theosophists who are not members of the visible theosophical movement, and members of the organized theosophical movement who are not really theosophists. Why should I, in order to aspire to a higher ethical learning, try to help the partially invisible community of those good-willing souls who help mankind? The answer is epistemological: it deals with the nature of the knowledge one is looking for. The substance of theosophical knowledge is not in words. The very territory where it exists and lives is altruism. Discipleship can only occur in a universal or planetary dimension of altruism. And discipleship also implies probation. I must support before the world the real Theosophical movement and its true teachings. I may have to fight ritualistic illusion and other forms of organized ignorance. In doing this, I will face a number of obstacles and tests by which I can purify my motives and gradually eliminate my own spiritual ignorance, while helping others do the same. The path to wisdom is uphill and it is challenging. Comfortable paths use to lead elsewhere. An intelligent self-sacrifice for a noble cause expands the influence of one’s higher self in daily life. It also entitles one to deserve inner help and to attain direct knowledge about the laws of the universe. One must examine what precisely is an “evil thing” spoken about a brother or sister. An evil thing is a slander, a falsehood and any idea whose intention is destructive. The person who does this usually avoids responsibility for the words said. Falsehood can be clearly stated or presented as an innocent, passing commentary, whose poison is hard to see. Disguised attacks are often severe tests to one’s discernment. Destructive criticism can be subtly suggested under the cover of mutual friendship and thus avoid being submitted to a rational analysis. A sincere criticism, on the other hand, is open to examination; it is based on facts, and it allows one to defend oneself and clarify his viewpoint. The third clause does not forbid diversity of opinions. If a companion is in error, he or she will only benefit from my saying so. Free dialogue and a group-openness to mutual sincerity prevent hypocrisy. Sincerity must be managed with care. It is not a license to personal criticism, which must be avoided. Each student has brighter and darker aspects of personal karma. In an association of truth-seekers, people must be human and humble about their shortcomings. We do not need whited sepulchres. On the other hand, a constant eye to the ideal of human progression and perfection  is of the essence. Thinking too much of other people’s faults - which are sometimes imaginary - is an expression of one’s inability to concentrate on his own duty and his own potentialities. Criticism must be limited to philosophical matters. As long as there is goodwill and honesty in a student, he is OK and his positive qualities must be stimulated even if probation makes some of his faults seem too visible. The key to mutual help along the way is to concentrate on the philosophy of universal truth and compassion and think well of each other, while keeping a severe eye to human failings and using such severity with care. 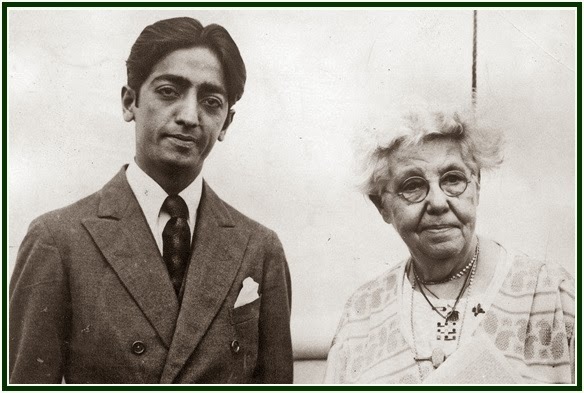 No slanders against the founders of the theosophical movement can be accepted, not even indirectly, in any circumstances. 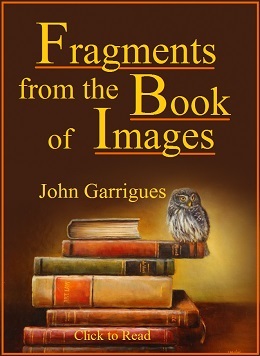 Disguised or not, such slanders directly attack the center of the magnetic aura of the movement, leading it astray and making its leaders absorb the unfortunate karma of disloyalty to sacred teachers. An intelligent, heartfelt loyalty to the Teachers keeps the aura of the movement healthy and creates an atmosphere conducive to correct learning. A feeling of gratitude produces harmony among co-students. It is also a karmic privilege and a blessing on the individual plane. Our lower nature or instinctive and subconscious self deserves deep respect. It constitutes our valuable instrument in physical and emotional life. We do not need to stimulate neurotic conflicts along the theosophical path. I must pledge myself to maintain a constant struggle against the unwise impulses and habits in my lower nature. This is not a commitment to “annihilate”, disrespect or abuse my lower self and physical body through any undue asceticism. Sadomasochism is not philosophical. Theosophy and Buddhism point to the middle way of moderation. A calm approach to self-purification makes the struggle constant and durable and leads to sustainable victories. If I see my own self-purification as a priority, I will have enough to do in attaining such a goal. Meddling in other people’s lives won’t be a priority. I may try to help other people along the road, just as they are invited to help me. The student must be charitable therefore to the weaknesses of others. However, it is his duty to fight any unnecessary harm being caused to innocent beings. Nazism, Anti-Semitism, and other forms of criminal, fraudulent or anti-ethical behaviour cannot be accepted under the pretext of the charity mentioned in the fourth clause. Compassion for to the weaknesses of others means each student will stimulate the best potentialities in them. This actually includes stimulating them to see their mistakes. At the same time, the student must make it clear that his own perspective is ever unfolding and needs improvement all the time. An honest and constructive dialogue is of the essence among true friends and co-disciples as they all learn from each other in various ways. This is about the Pedagogy of theosophical learning. I must expand my knowledge and prepare myself in various ways so that I can teach others through words and by example. From a technical point of view, it means that since all beings are in karmic unity, it is by helping my fellow beings that I can truly help myself. The way to make progress myself is to aim as a long term goal at helping others in their quest for inner happiness. If I wish to attain bliss, I must be selfless. The consciousness in me that obtains spiritual liberation is impersonal. Such a perception of reality is freedom already: my lower self has but to be in harmony with it. Another important aspect in clause five is that in preparing myself to help others, I must “do all in my power”. The quality of one-pointedness or concentration has to be developed. A divided mind is of little service. Self-contradictory aspects of my mind must therefore be identified, understood and alchemically transformed. Concentration means giving up or adapting all that is of secondary importance or hinders the attainment of our central goal. As we seek for light, dark points will present themselves and challenge us to learn better and transform them. As we try to see, blind spots will be directly or indirectly revealed. Obstacles may seem at first invincible. They are not. Patience in doing our best at each moment constitutes one of the decisive keys to victory, for real progress is long term and often invisible. The truth-seeker must dedicate his life to a noble cause. Many spend their time in trying to attain personal goals and feel the heavy, asphyxiating price of having narrow horizons. There is a direct relation between the substance of one’s soul and the nature of one’s goals in life. Generous objects expand and liberate one’s mind. They show our limitless spiritual possibilities, and realism is necessary. In any incarnation, we need many kinds and levels of objects to pursue. The lower self is decisively important. Its horizons are legitimate as long as one’s soul is honest and sincere. However, the value of the lower self goals increase as they become part of a greater view of life and get to be in harmony with a noble, impersonal purpose. It is not enough to say to myself that I will give “what support I can” to the project of helping mankind take steps towards universal brotherhood. I still have to decide what is it that I actually can do and cannot do in that direction. At the beginning my possibilities will be small. That does not matter. Simple acts of kind cooperation are safe and good. We must use our discernment as to the actions to be performed. Through calmly supporting an altruistic purpose which we consider effective, our inner potentialities develop. The horizon gets wider little by little. We are then increasingly protected by the good karma of right action, and the process of unconditional Peace expands as much as the need for constant vigilance. 7. So help me my Higher Self. The final clause establishes the inner nature of the vow, and indicates “before whom” it is made. The pledge is not a promise made to any particular god or guru. It is not made to some director of an esoteric school. It is an individual decision made before one’s own conscience, higher self and spiritual soul. One’s companions along the road may be witnesses of such a decision. Yet the temple before which the vow is taken consists of one’s own heart; it is the sacred Temple of Self-Responsibility. The seventh clause evokes Antahkarana, the living bridge between one’s lower and higher selves. The contact with the highest is more quickly expanded by the daily practice of the six previous clauses. In Geometry, such a seven-clause pledge has a relation with the six-pointed star of Eastern and Jewish traditions. The seventh clause of the pledge is occult, or essential, hence, unnumbered. The occult and essential, seventh point of the six-pointed star is at its center and is invisible to superficial logic. 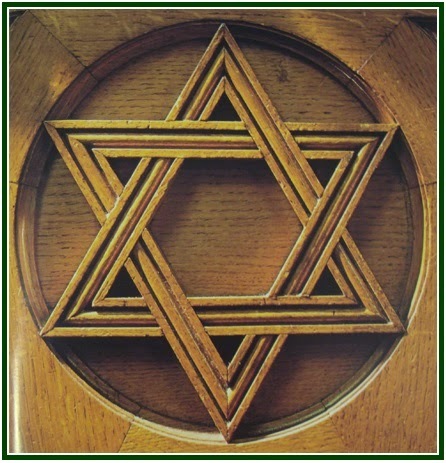 The dynamism of the Eastern-Jewish star contains the wheel of life, whose center is everywhere. The dynamism of the six numbered clauses of the theosophical pledge is granted by its seventh and central clause, which evokes one’s spiritual soul. Our higher self is beyond geographical locations or situations in time. It is universal, impersonal and has no sense of separation: it is the divine light in ourselves. To try and listen to it is a correct decision. The task includes a long series of tests to our discernment and determination. One must learn under probation. The inner blessings of wisdom must be received while facing outer difficulties. The text “The Meaning of a Pledge”, was first printed by H. P. Blavatsky in her “Lucifer” magazine for September, 1888. It was published in “Theosophy” magazine, Los Angeles, in the editions of November 1914 (pp. 25-29) and December 1953 (pp. 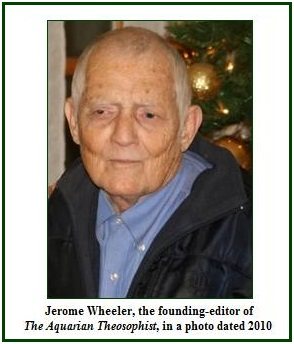 53-58); and by “The Aquarian Theosophist”, in January 2013. The article is available at our associated websites. On the aspiration to true discipleship, see for instance the articles “Commentaries to the Golden Stairs”, “From Ritualism to Raja Yoga”, “How to Find the Master”, “Learning From Each and Every Event”, “The Rule of Sincerity”, “The Meaning of a Pledge”, “The Process of Occult Osmosis”, “Some Words on Daily Life”, “Two Schools of Occultism”, “Chelas And Lay Chelas”, “Pledges in Theosophy, Real and Phony”, “Mahatmas and Chelas”, “The Observatory of Luxor”, “Extracts From Private Letters” and “The Guardian Wall That Protects Mankind”. These are some of the articles on discipleship that are available in our associated websites. 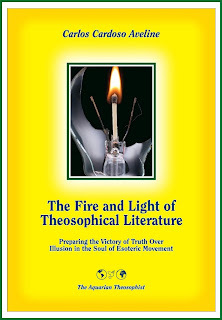 See in our websites the article “The Theosophical Movement”, by William Q. Judge. “A constant eye to the ideal of human progression and perfection”; see item 13 of the article “Commentaries to the Golden Stairs”, by Carlos Cardoso Aveline, which is available in our associated websites. Read the article “Respect for the Lower Self”, by Carlos Cardoso Aveline, which can be found in our associated websites. 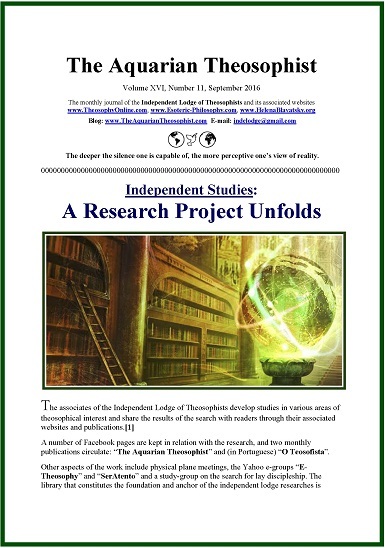 Read the article “Pledges in Theosophy, Real and Phony”, by Carlos Cardoso Aveline. It can be found at our associated websites. The higher speed strengthens the challenges along the way.